Click the "Browse..." button to select your file. 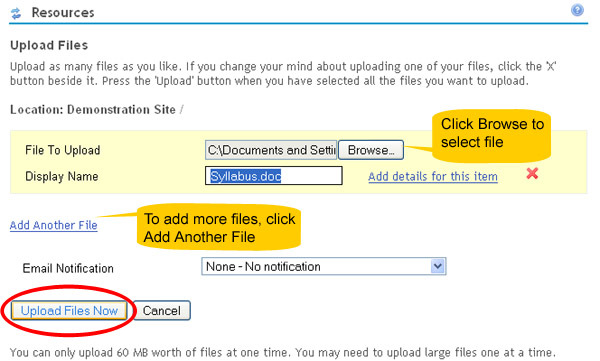 To choose more than one file to upload at a time, click the "Add Another File" link. 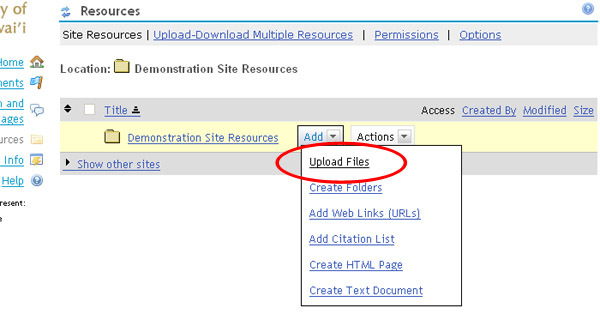 After selecting your file(s), click the "Upload Files Now" button. *Note: There is a size limit of 60MB per upload. Your file(s) should then appear in Resources.